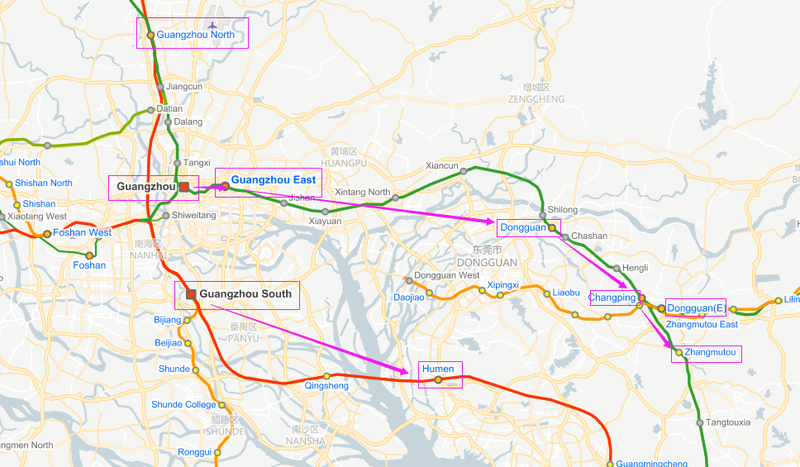 There are frequent train service linking Guangzhou and Dongguan, some of which are G-category high speed trains (Guangzhou South – Humen Station) and some are C and D-category high speed trains (Guangzhou East to Dongguan Station) and the others are regular T or K trains with a slow speed. 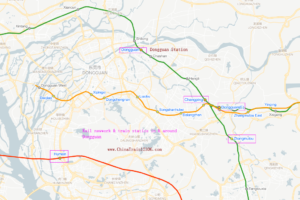 From Guangzhou to Dongguan: The best routes are from Guangzhou South to Humen Station by G high speed train, Guangzhou Railway Station to Dongguan Station and Guangzhou East to Dongguan Station by C or D trains. 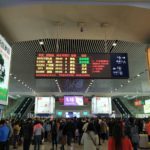 Guangzhou South Station is a bit far from city center with an hour metro ride away, while Guangzhou Railway Station and Guangzhou East Station are centrally-located in city center with easy access. 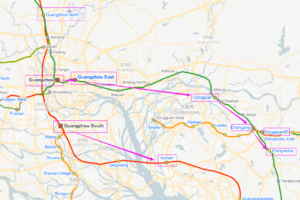 From Dongguan to Guangzhou: The best routes are from Humen Station to Guangzhou South by G high speed train, or from Changping Station to Guangzhou East Station by C trains. 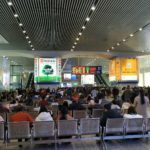 If you have any questions on your Guangzhou – Dongguan train travel, don’t hesitage to ask Jack at ChinaTrain12306@gmail.com. For more info, just refer to Ask Jack page. 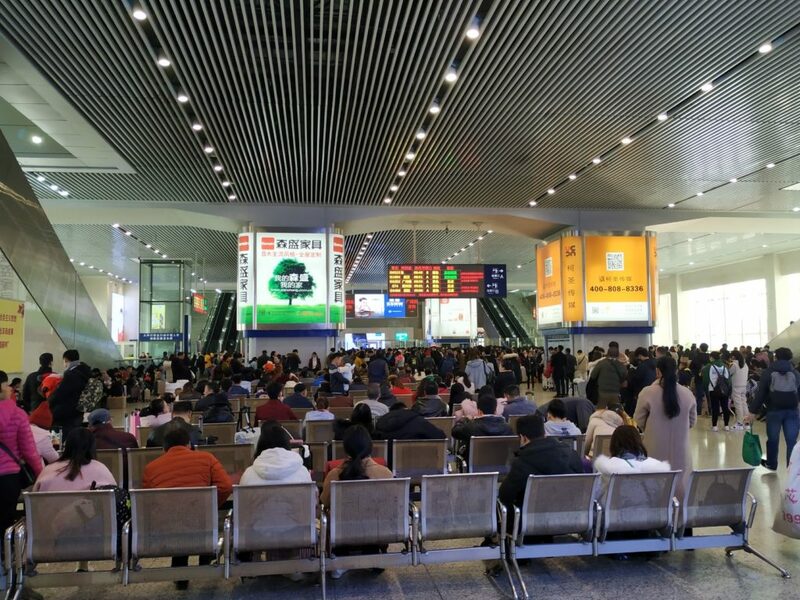 Jack was there in January, 2019 and took the Vibrant Express to Guangzhou South Station from Humen. If you have any question, just ask Jack. 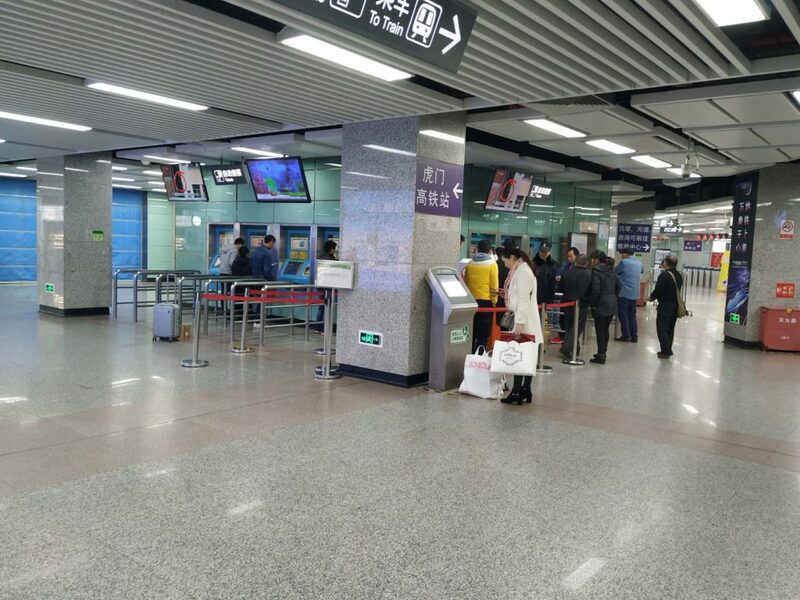 Just buy the subway tickets at the ticketing machines inside the Humen Railway Station subway stop.Just buy the subway tickets at the ticketing machines inside the Humen Railway Station subway stop. Ticket office in the Humen Railway Station can be clowded.Ticket office in the Humen Railway Station can be clowded. 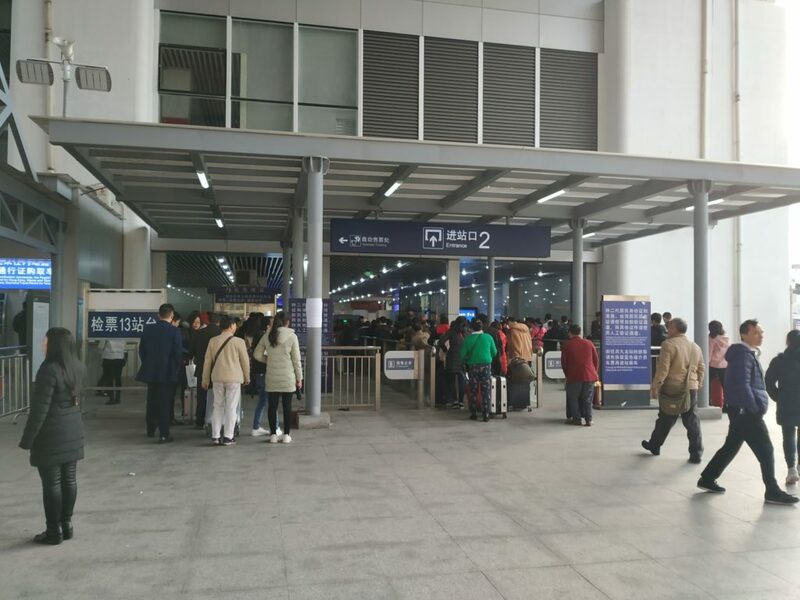 Check-in gate A is for trains to Guangzhou South direction.Check-in gate A is for trains to Guangzhou South direction. 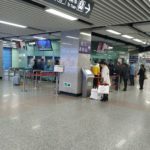 Check-in gate B is for high speed trains to Shenzhen North, Futian or HK West Kowloon Station.Check-in gate B is for high speed trains to Shenzhen North, Futian or HK West Kowloon Station. 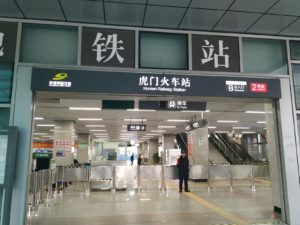 Buy at train stations: You can buy your tickets with passports in any train stations in Guangzhou or Dongguan, including Guangzhou South, Guangzhou Main Station, Guangzhou East in Guangzhou or Dongguan Station, Humen Station, Dongguan East and Changping Station and Zhangmutou station in or around Dongguan. 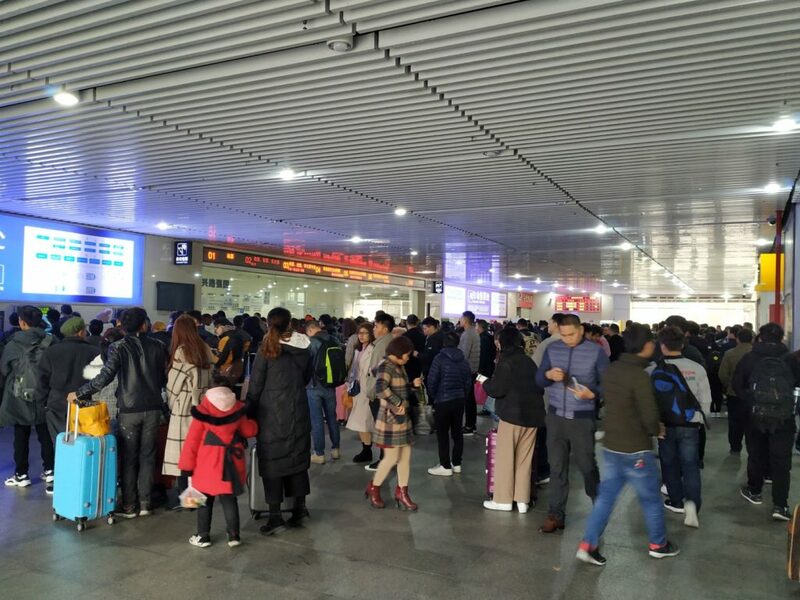 There are about 77 daily G type high speed trains running from Guangzhou South to Humen Station in Dongguan, and 62 from Humen Station to Guangzhou South, taking about 17 minutes. 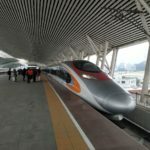 This is the fastest option to travel from Guangzhou to Dongguan. 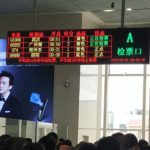 It is a good option to travel from Guangzhou East to Dongguan Station, as Guangzhou East and Dongguan Station are both centrally located with easy access. 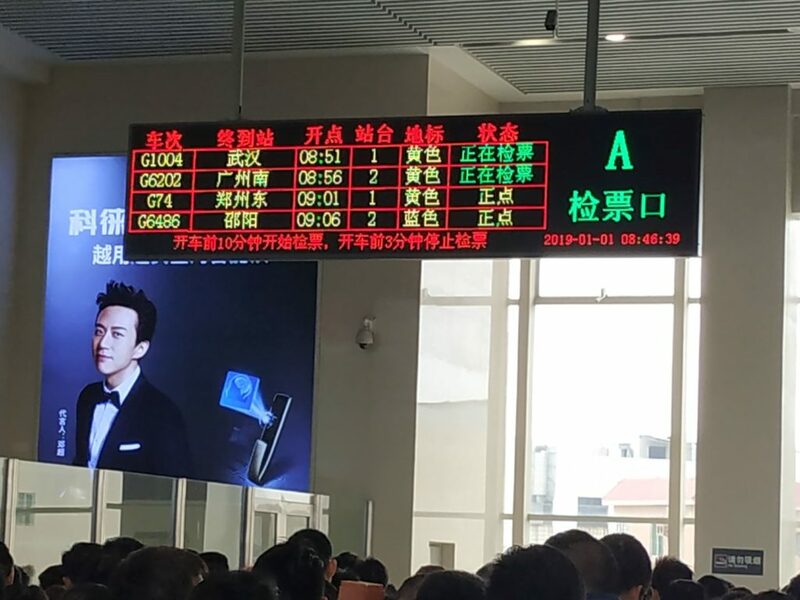 But the matter is that for returning from Dongguan Station to Guangzhou East, there is only one train available. 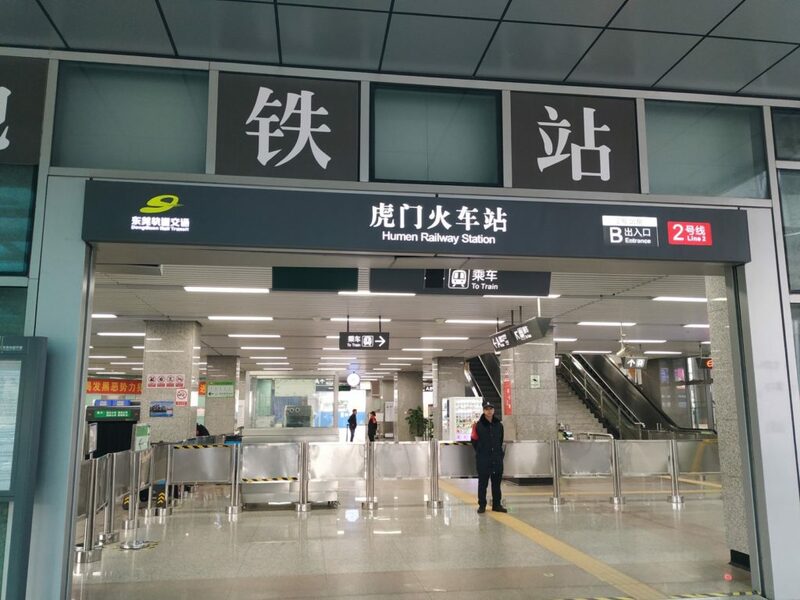 Thus, you can go to Humen Station or Changping Station to go back to Guangzhou. 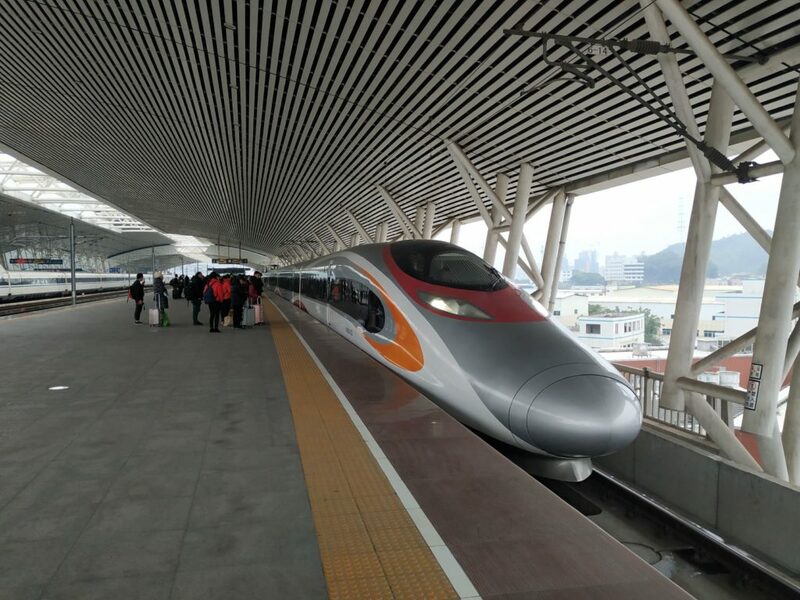 From Guangzhou East to Dongguan Station: About 65 C and D tpye high speed trains are running from Guangzhou East Station to Dongguan Station, taking about 25 minutes. 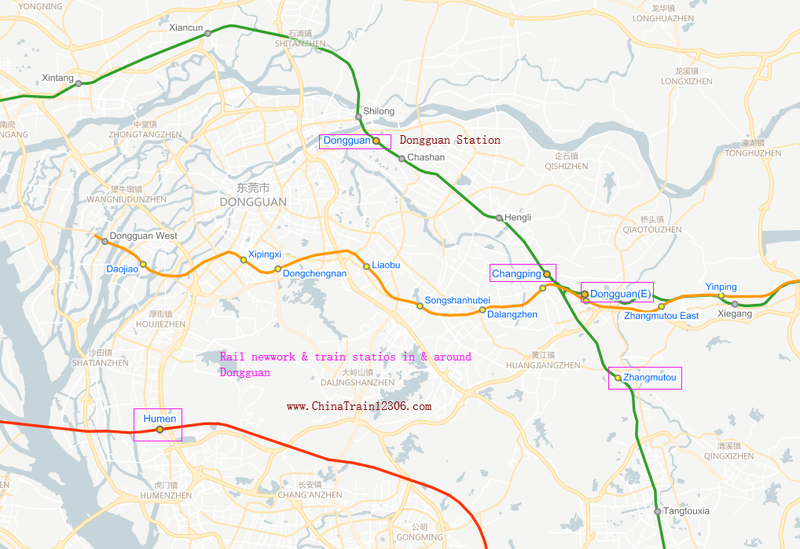 From Dongguan Station to Guangzhou East: Only one D train is running from Dongguan Station to Guangzhou East. 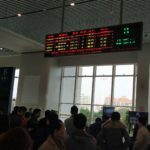 Guangzhou Railway Station is also a good option to go to Dongguan by train. 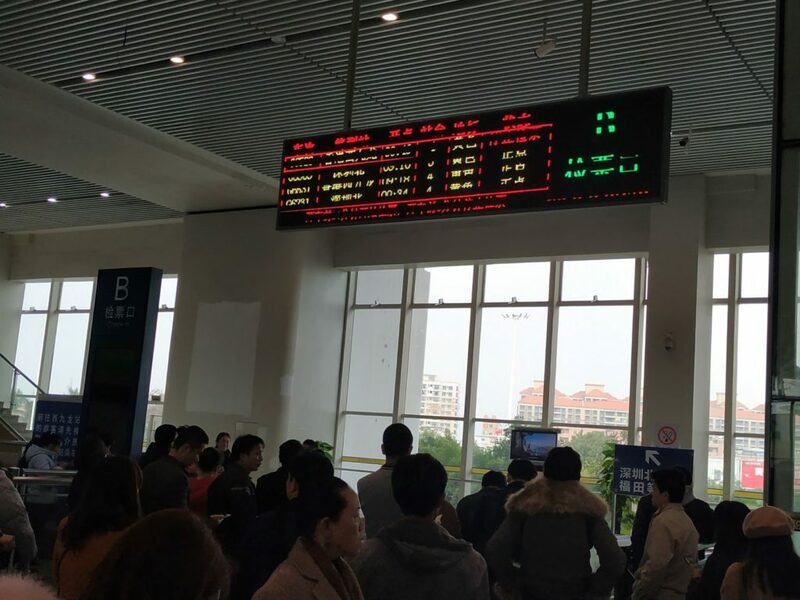 It has 18 daily high speed trains to Dongguan Railway Station, taking about 45 minutes. 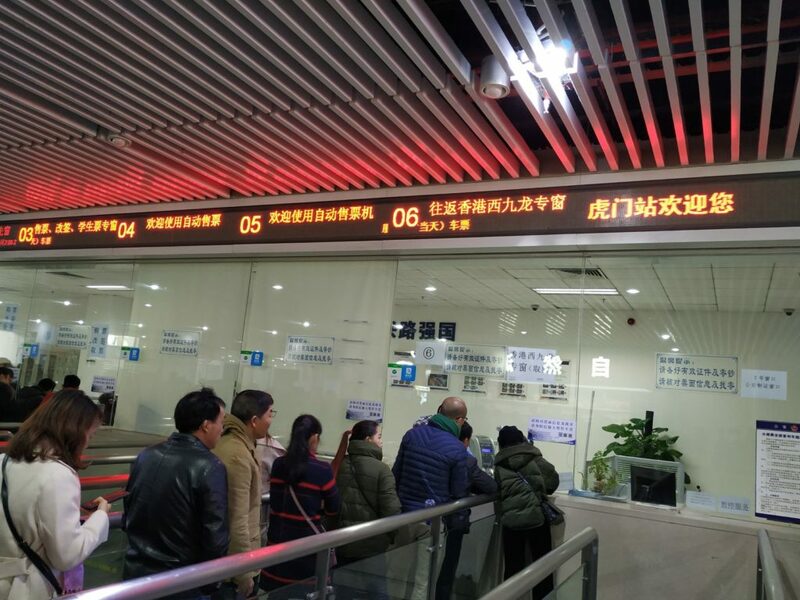 But from Dongguan Station to Guangzhou Railway Station, it has no trains available. 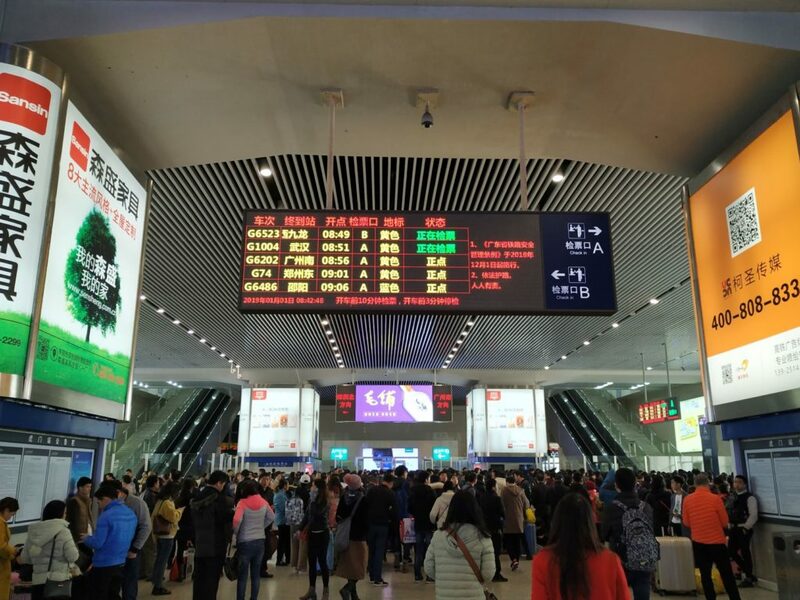 You will have to go to Humen Station or Changing Station to get back to Guangzhou. 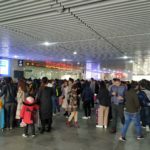 When getting back from Dongguan to Guangzhou, Humen and Changping are the best option as Changping Station has 82 C trains back to Guangzhou East Station, while Humen Stationn has over 60 G trains to Guangzhou South. 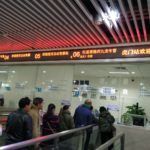 But it has no trains from Guangzhou East to Changping Station. 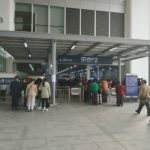 If you arrive at Guangzhou Baiyun International Airport and want to travel to Dongguan by train, then you can take the metro line 3 (Northern Extention Line) departing from Airport South in Terminal 1 to Guangzhou East Railway Station, from where there are 65 C and D trains to Dongguan Railway Station.